How to quill the letter P, beehive scrolls, and freehand drawings – this video is jam packed with helpful insights! 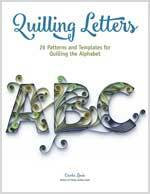 I wanted to make a picture dictionary so you can replace the letter P with any letter from my book, Quilling Letters. 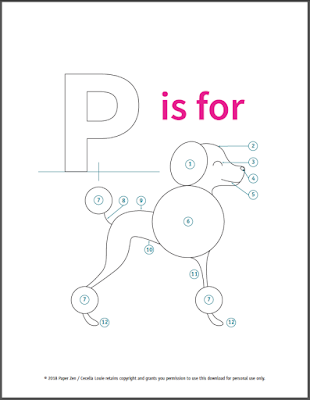 Swap out the poodle for any other drawing to customize your own picture dictionary project. Download my free template for the Letter P and start quilling along with me! 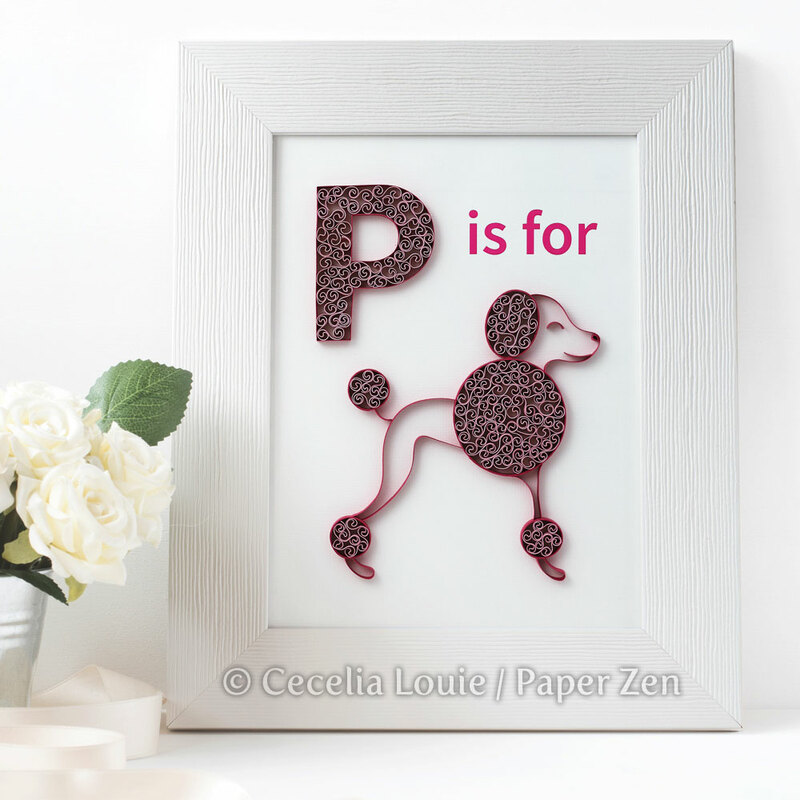 Every strip is numbered and pre-measured for you, just like my book, Pretty Quilled Cards. Give your quilling a lacy texture or color fill using the beehive technique. It quickly fills up a space, and I've always imagined it to represent the texture of a poodle or even sheep! Give it a try - it's really fast to make and you have to be exact with it. 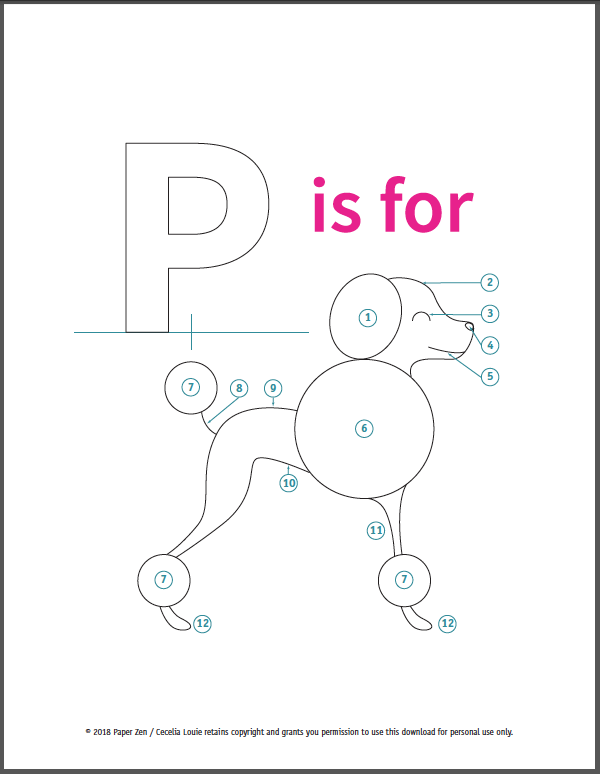 Have you been struggling to quill an illustration? Watch how to sculpt your strips and tame them like a docile dog. Really nice technique and I enjoy all your videos! One question: In your paragraph "It's Easy to Quill a Beehive Scroll," did you actually mean that you *don't* have to be exact? Because if that's the case, I'd feel more confident to try it... I'm not always very good with exact measuring and lining up. Hi Keeral, thanks for commenting! Yes, that's exactly what I mean - I find with the Beehive scroll, you don't have to be exact. If the coils are a little large, a little smaller, it's very hard to tell once you scrunch them all up. I'm sure if you looked closely at mine, they are all a little different and that randomness is what makes the texture so appealing. You will gain confidence after you've tried it a few times. I have been quilling for a long time, so don't compare yourself to me - just have fun in making a small project, then another, then a larger one. If you saw all my projects from 10 years ago, you'd see my work is not exact and lining up either.